5093E - New Tractors - Cope Farm Equipment, Inc. 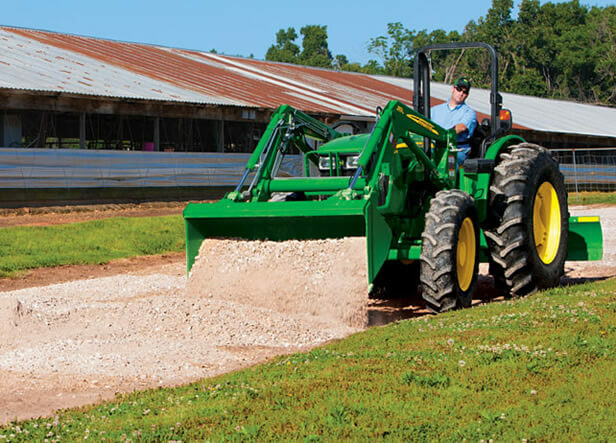 The 5093E features a 93 horsepower John Deere PowerTech™ Diesel Engine with mechanical front-wheel drive (MFWD) for even the toughest ground conditions. Choose an open operator station or go with the cab configuration for year-round comfort. PowrReverser™ Transmission provides no-stop, clutchless directional shifting to make short work of loading, blading and other chores requiring frequent directional changes.